Just a few years ago it seemed like different challenges were popping up all over the internet. If you want to lose weight, there is an internet challenge for it. If you want to drink more water, there’s a challenge for that. Similarly, people who want to save money have internet challenges as well. The first few money challenges that came out were designed to help people begin saving or add to their existing savings. One of the very first, the 365 Day Money Challenge, helps those who take the challenge save one penny at a time. What is the 365 Day Money Challenge? In short, the 365 Day Money Challenge is a fun way to save money. It was designed by internet users to help others save and create a community of people with similar financial goals. Like other money challenges, the 365 Day Money Challenge helps you save money by giving you a structure and set amount to save each day over a year (365 days). 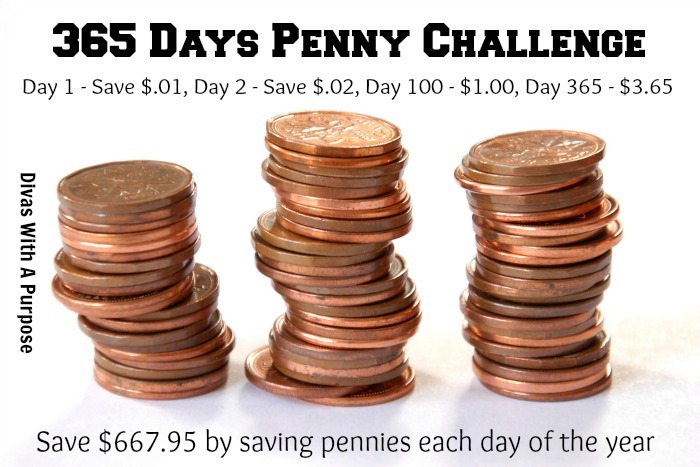 Every day you add more money to savings with the 365 Day Money Challenge. On the first day you save $0.01; day two, $0.02; day three, $0.03 and on the 365th day $3.65 (as illustrated in the photo below). After the year is over you’ll have saved $668. The 365 Day Money Challenge is a great way to add some additional cash to your savings or kickstart your savings. Many people have also used the money challenge to teach their children about saving. 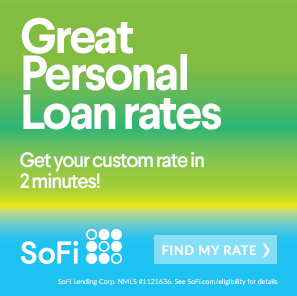 Either way, it is a fun way to go about saving. Click here for a downloadable version of the 365 Day Money Challenge. 12 Week Money Challenge – Taking a money challenge for an entire year can seem a bit overwhelming. Scaling it down to 12 weeks can make it a bit more manageable. You can save $1,000 in just 12 weeks with this challenge. 30 Day Money Challenge – An even shorter challenge is the 30 Day Money Challenge. The challenge lays out a structure that helps people save $500 in one month. $5 Bill Challenge – The $5 bill challenge is a bit different. Instead of contributing money to savings every day, week or month you contribute every time you receive a $5 bill in change. Each time you do the $5 goes to savings. 52 Week Money Challenge – The 52 Week Money Challenge is similar to the 365 Day Money Challenge. Both take a year. However, the 52 week challenge helps people save about $1,400 throughout the year. Reverse 52 Week Money Challenge – The Reverse 52 Week Money Challenge is the same as the 62 Week Money Challenge but in reverse (as the name suggests). You start out saving $52 in week one and only $1 on week 52. Bi-Weekly Money Challenge – Many people get paid bi-weekly so contributing to savings every other week works better for some people. This still takes a year and you’ll save $1,400 (like the 52 week challenges) but you can schedule it with your pay schedule (if you’re paid bi-weekly). Money Challenge for Couples – Couples and finance can be rough. Trying a money challenge together can bring you closer together. There are many different challenges for couples to try, including daily, weekly and monthly saving structures. Money Challenge for Kids – Teaching kids to save with a money challenge can be fun as well and you’ll be teaching them something they’ll use forever. There are multiple different challenges available for kids out there, most involve small amounts of money. Money Challenge for College Students – A lot of college kids have to learn to save pretty quickly. Using a money challenge for college students can help them get a kickstart. Whether you’re looking to start saving, add to your savings or save for a specific purchase trying a money challenge like the 365 Day Money Challenge can be great. Will you try one?